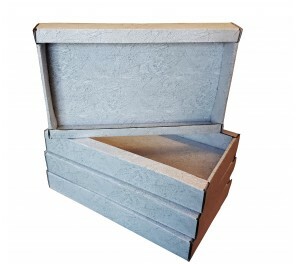 > Card Tray 11.5 x 19 x 3"
Card Tray 11.5 x 19 x 3"
Card storage trays designed to fit snugly in your tuckbox. 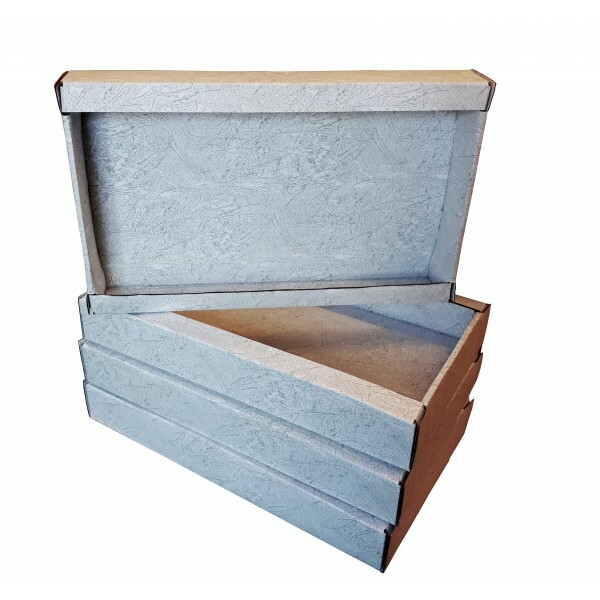 Made from strong corrugated card with an attractive paper lining. 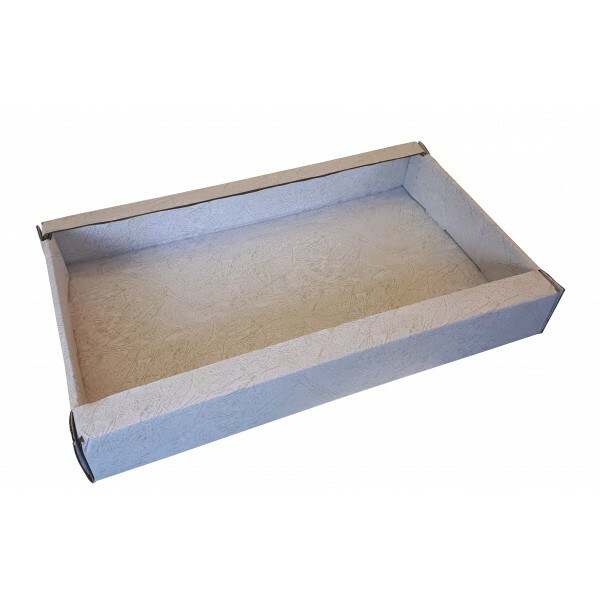 Card trays measure approximately 11.5 x 19 x 3". They are also suitable to be stacked in our larger trunks. They will fit snuggly in a portrate orientation in our Storer, Steamer, Cabin and Queen sized trunks.